Smart, ber-careful, ordinary Samantha--that's me. But I just couldn't pass up a surprise kiss from my number one unattainable crush. A kiss that did something to me...something strange. Now I feel hungry all the time, but not for food. It's like part of me is missing--and I don't know if I can get it back. 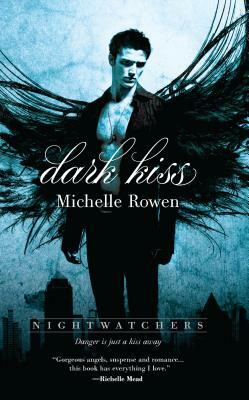 Michelle Rowen is an award-winning, national bestselling author of paranormal books for both teens and adults. She lives in Southern Ontario. Visit www.michellerowen.com for more information about Michelle and her books.